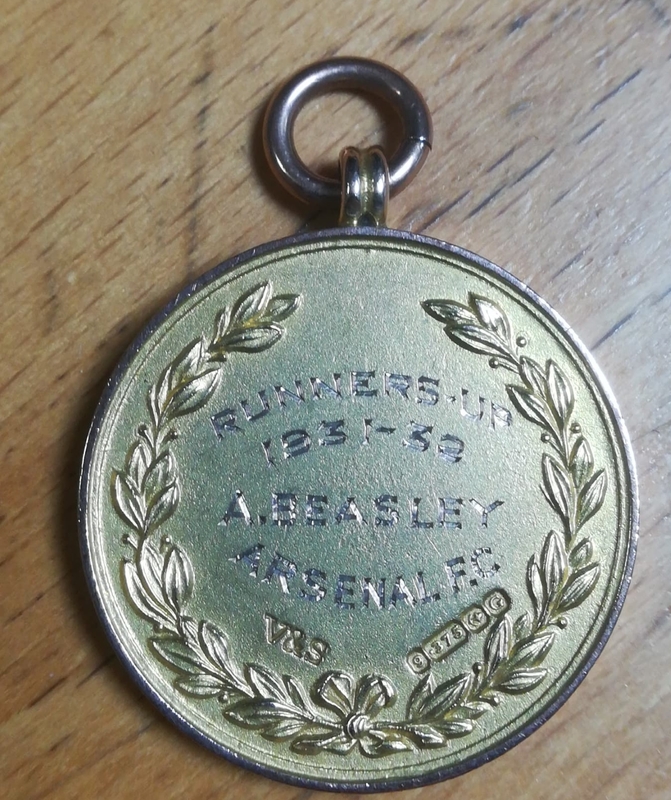 This medal comes direct from a relative of former Arsenal man Alfred ‘Pat’ Beasley, from whom we recently acquired a number of personal affects including contracts, signed photographs and tickets relating to his career. Beasley joined Arsenal in 1931, initially playing in their youth and reserve teams before making a first-team debut against Sunderland in 1932. 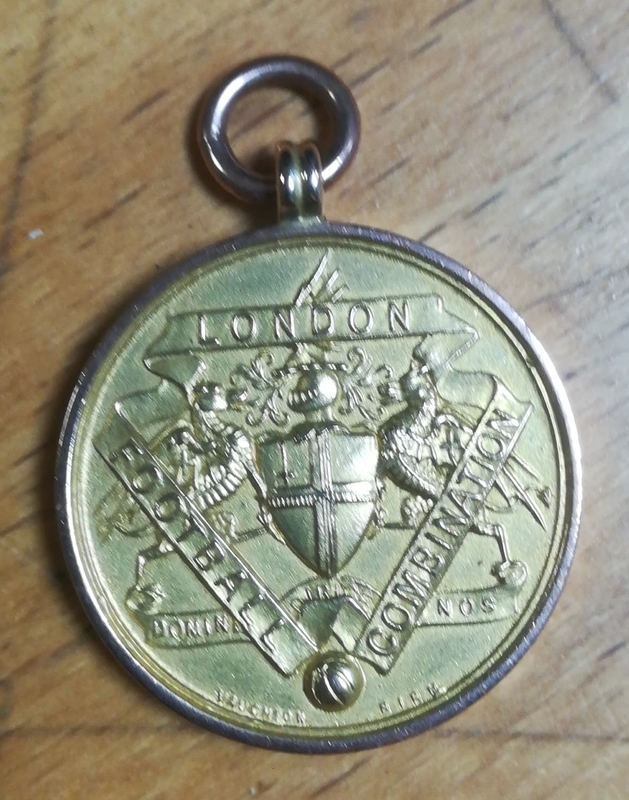 The Football Combination was a league for reserve teams of clubs in the EFL – the ‘London’ part was rather misleading, as from 1926, a number of clubs from outside the London area had joined, including Leicester City and Swansea Town. Beasley faced stiff competition from several other players in the squad during his six year stint at Highbury, and left Arsenal in 1937 for Huddersfield. Although he missed Arsenal’s 1936 FA Cup final, he would be in the squad for the Terriers two years later when they lost to Preston at Wembley.